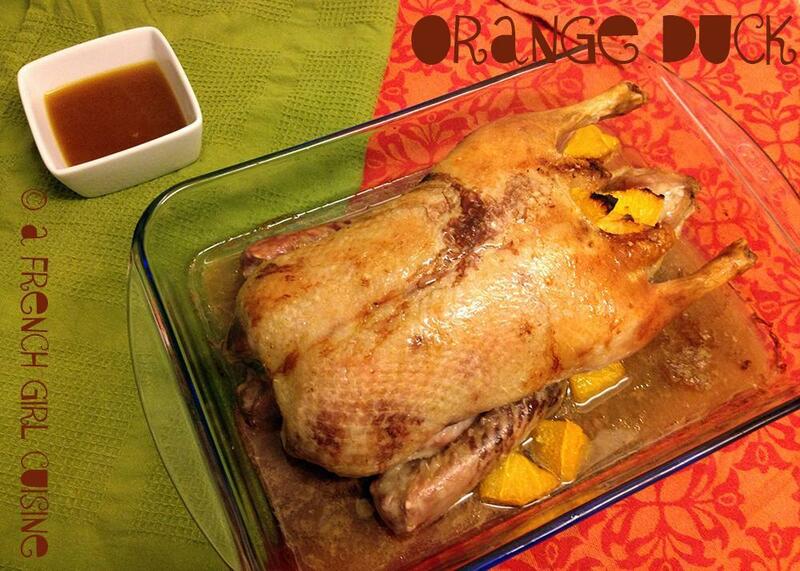 It is not the traditional orange duck recipe; but I am sure that you can also enjoy this one with your friends or family. 1 Barbary Duck of 2 kg. Peel and slice 2 oranges. Stuff the duck with the oranges. Melt the butter and spread on the duck skin. Put the duck in the oven for 1 hour. Press the two other oranges. Add the orange juice, the soya, the Cointreau and the poultry bouillon in a casserole dish and bring to a boil. When the duck is baked, slice and coat the duck of sauce! I just love duck. Have never cooked it like this before, must give it a try. Let me know then if you liked it!